Thanks to a rich and somewhat tumultuous history, Fiji is made up of a diverse population with indigenous Fijian, Indian, European and Chinese heritage. 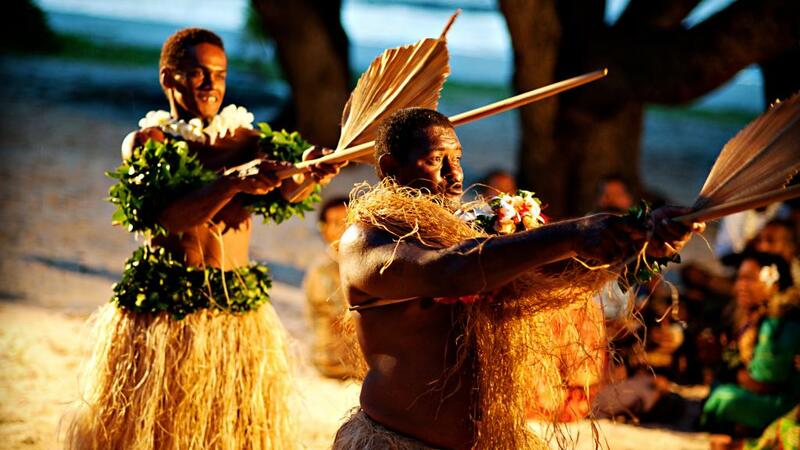 Fiji’s culture is predominantly informed by indigenous traditions and values and visitors to the archipelago will encounter this distinct Fijian flavour through the food, warm encounters, festivals, music and customary arts. When visiting a village modest clothing is recommended, as is removing your hat (wearing one is considered an insult to the chief). If you are invited into a home, be gracious and thank your host, take your shoes off before entering and leave them at the door. Note that it’s insulting to touch someone's head, children included. As a symbol of thanks when visiting a village, it’s customary to offer a small gift (typically kava) to the chief. 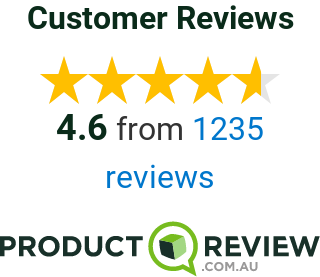 Generally costing less than F$20 for half a kilo, your guide will be able to organise this on your behalf. The kava will be presented to Turaga Ni Koro (the traditional village chief) and ground into a powder, mixed with water and served in his home. 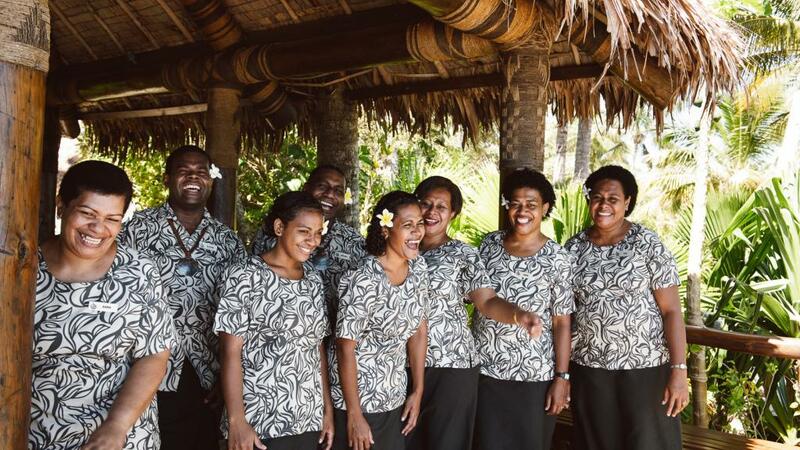 Fijians are some of the friendliest people in the world and, provided you respect their traditions and customs, are typically eager to welcome you as a guest into their villages and homes. 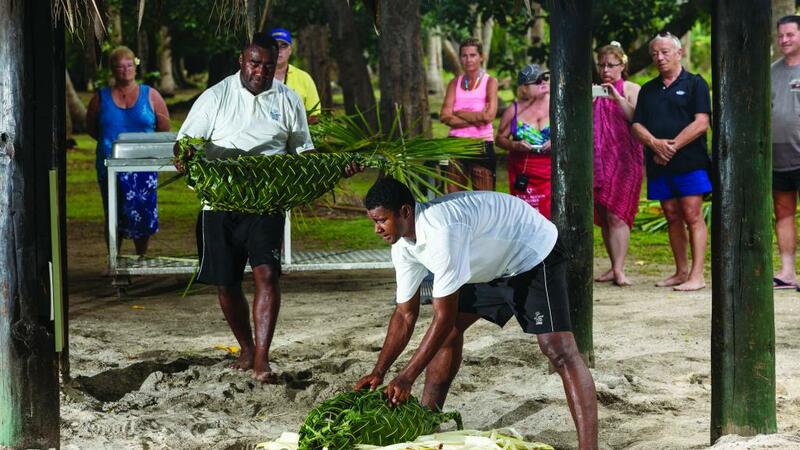 Doing so will offer a fascinating insight into traditional Fijian lifestyles and adds a unique depth to your Fiji holiday. 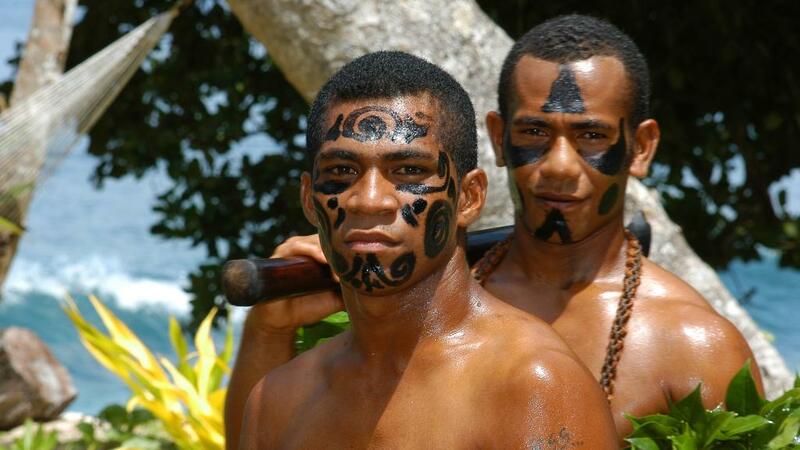 As a multi-cultural, multi-racial nation, the people of Fiji follow all the world’s major religions to varying degrees. As you drive through Fijian towns and countryside, you’ll encounter Christian churches, mosques and Sikh and Hindi temples. Attending one of these Sunday services, even if you aren’t religious, can be a really great way to gain insight into Fijian village culture and the significance of family within the community. Traditionally, the food will consist of cassava (tapioca), kumala (sweet potato), yam and taro - all of which should be peeled. Wrap a shoulder or leg of pork or ham in foil (and/or chicken, fish or lamb) and place in the oven. Put the larger pieces at the bottom and those that need the least cooking on top. Cover the feast with damp sacks and banana leaves or coconut stalks to provide the final insulation. Cover the lot with soil and pour yourself a drink. The food will take around two hours to cook. Music is woven into the fabric of Fijian life and the Meke embraces traditional song and dance to tell of legends, love stories, history and spirits of the islands. It can vary from blood-curdling spear dances to gentle and graceful fan dances. There are two groups in the Meke - the orchestra (Vakatara), who sit on the ground and sing or chant for the second group, the dancers (Matana). Percussion instruments (hardwood gongs, bamboo tubes, beating sticks etc) are used to make the music. All performers wear garlands of flowers (Salusalu), while the men don full warrior costume and the women, in traditional clothes, glisten with scented coconut oil. Yaqona (pronounced yangona) is better known as kava and is Fiji's national drink. It's made from the pulverised root of a member of the pepper family. Believed to have medicinal qualities, kava can leave the drinker feeling a little mellow. Legend has it that the kava ceremony came from Tonga where the plant sprang from the grave of a Tongan princess who died of a broken heart. In a formal yaqona ceremony, authority is given by the village spokesman to begin mixing the kava.